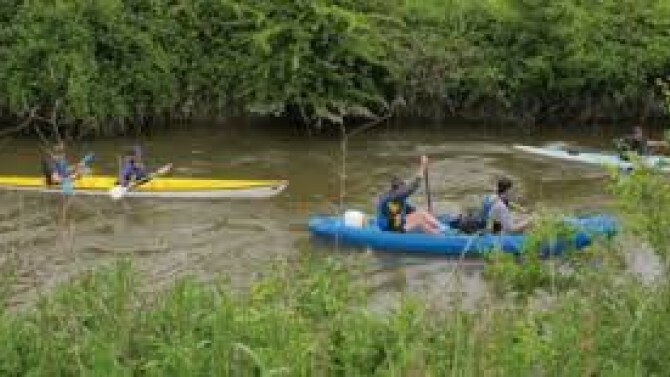 During the summer months their are guided kayaking tours on the River L'Elle from just outside the Chateau. Getting details and booking a trip is done through the tourist office in Isigny sur Mer which is located on the main street east of the market square. The office is on the left as you head east and is set back from the main street in a walled courtyard. The staff at the tourist office are extremely helpful and will certainly help with all aspects of your visit to Normandy.